Never forget when your road tax runs out. Prevent getting clamped for having no road tax. 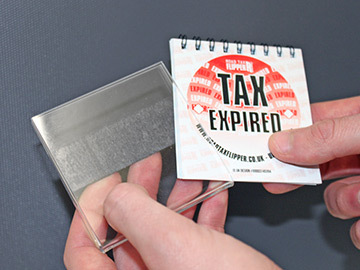 Easy to use, just flip to the month of expiry. Lasts for years. 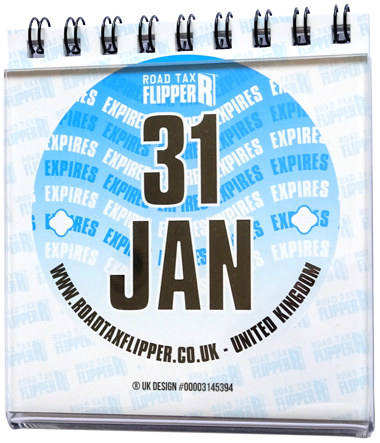 This handy and compact 13 page Road Tax Flipper is similar to a flip calendar. 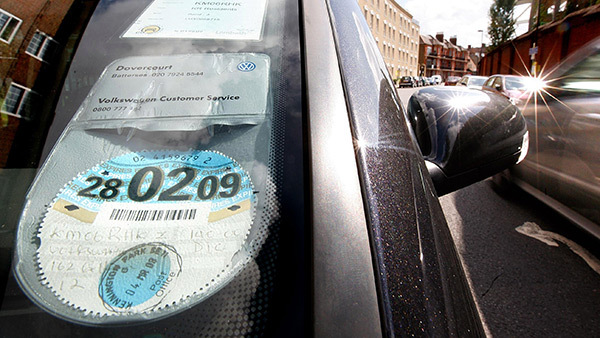 It’s an excellent road tax reminder tool and it comes in its own holder. 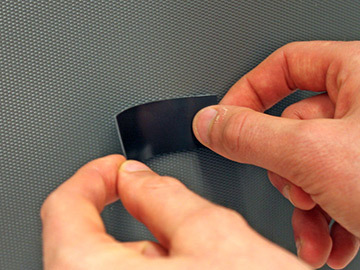 Sticking this car tax reminder flipper to your dashboard is absolutely no problem at all as on the back it comes equipped with a self adhesive magnetic strip. 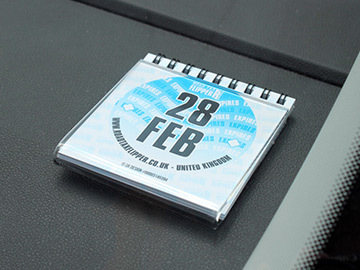 More than just a handy road tax reminder, it can also be used to remind vehicle owners about other important dates, such as the date of their next MOT. Does your reminder look like this?